I doubt if I would ever stop repurchasing this eye brow pencil because it is seriously amazing. I tried out the Makeup Revolution version but it was not the same thing at all. 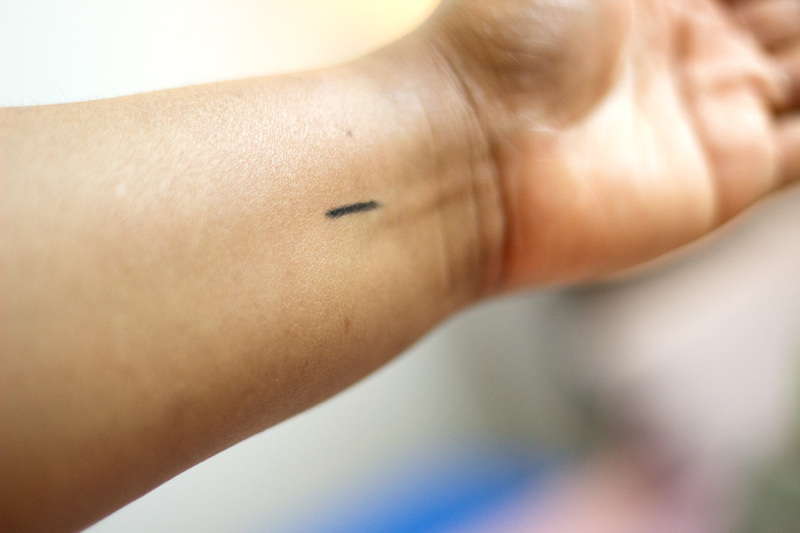 The nib of this pencil is so precise and narrow that it mimics your natural eyebrow hairs. I have gone through at least 6-8 of these brow pencils and I have no regrets. 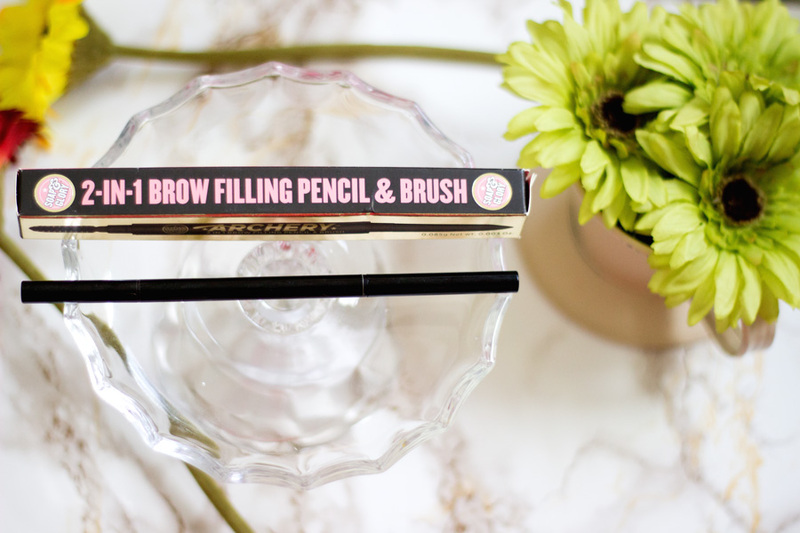 I personally think they are the closest dupe to the Anastasia Brow Wiz pencils. I think I may even prefer them to the ABH because they are more affordable and easier to find. The only downside is that there are only two shades: Blonde Shell and Hot Chocolate. 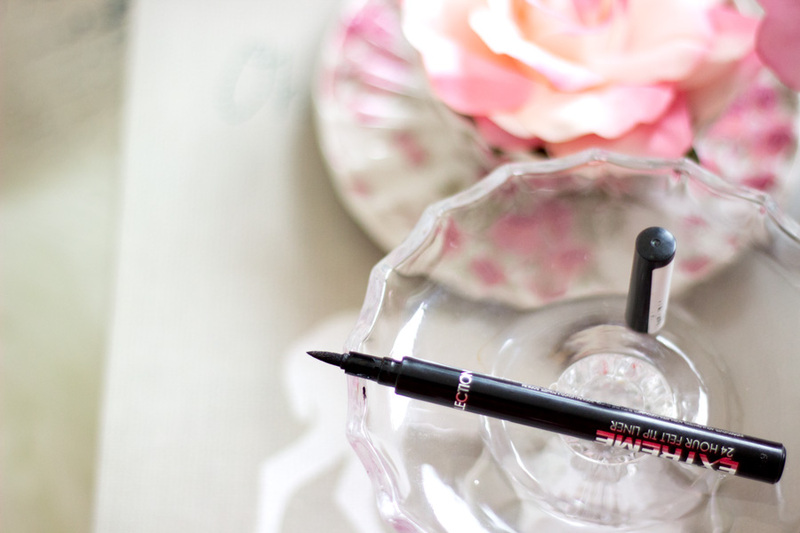 I know, I know, I always mention this eyeliner every chance I have but can you blame me? I have repurchased this countless times since 2012/13 and I don’t know if I would ever stop. 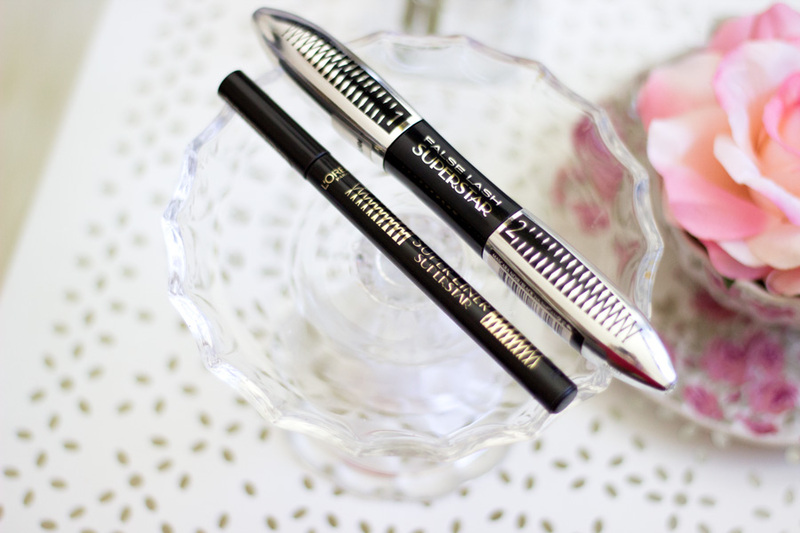 It is one of the easiest liquid/felt tip eyeliners I have ever used and it lasts for a long time. 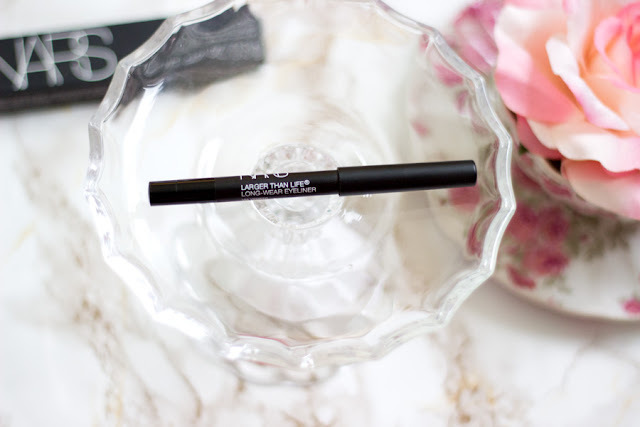 It is an intense black colour and it does not budge no matter how many times I rub my eyes. It’s just perfect although I think I may be loving the L’Oreal Super Star Eyeliner more than this as it has slightly more control. Anyway, time will tell which one steals the HG spot this year. 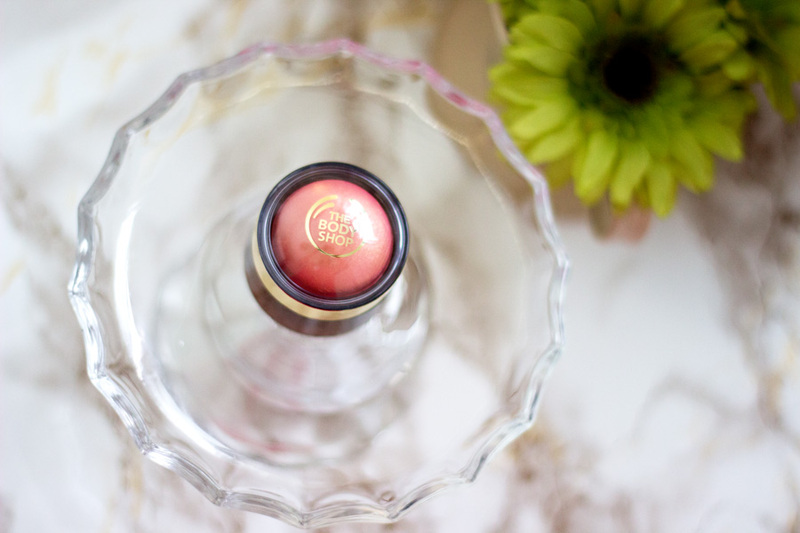 I am pretty sure you may have seen this product pop up a couple of times on this blog and that's simply because it is amazing. This is not my first time trying out the Collection Pressed Powder but I only discovered the Translucent Powder this year. It is one of the best setting powders I have ever used and it has transformed many dewy or wet looking foundations into a demi matte/velvet finish. 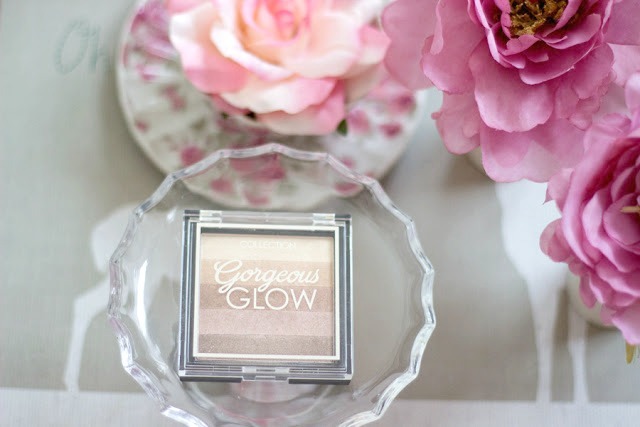 I am not a fan of dewy finishes so I am so pleased that this powder makes life so easy for me. It is translucent so it does not add any extra coverage or colour to your face; it just sets and mattifies. Its finely milled texture makes it so easy to dispense and blend. I just love it and had to repurchase a backup. I also use it to set my under eye concealers and it works really well. The best part is it only costs £1.99...if that's not a bargain, I don't know what is. 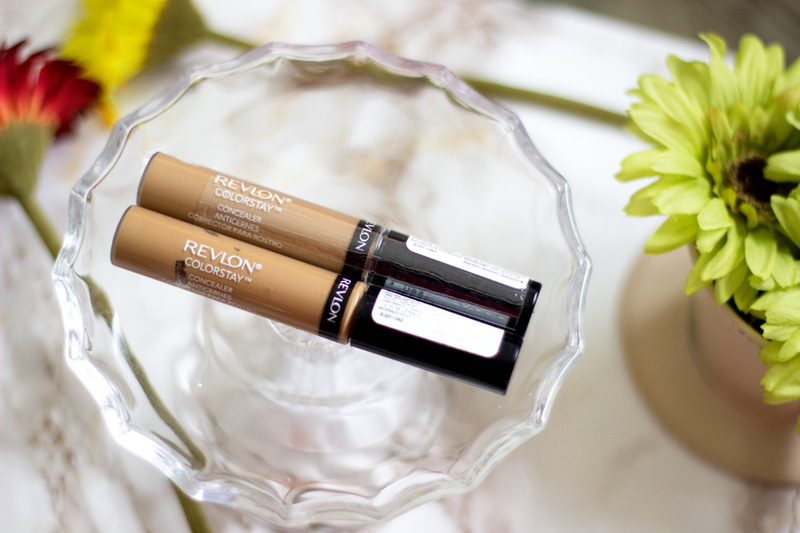 This is another concealer that I always repurchase and I think this may even be my third tube. 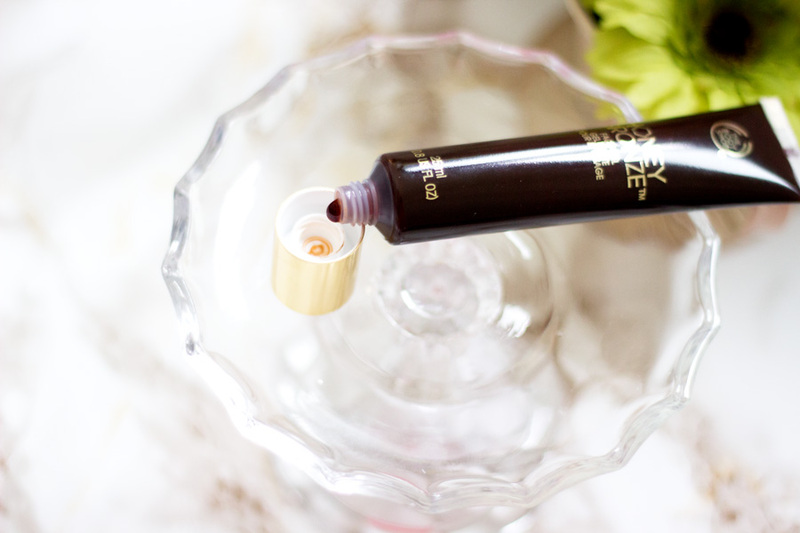 I adore this concealer because it feel so light and blends in really well which is why I reserve it for under my eyes. 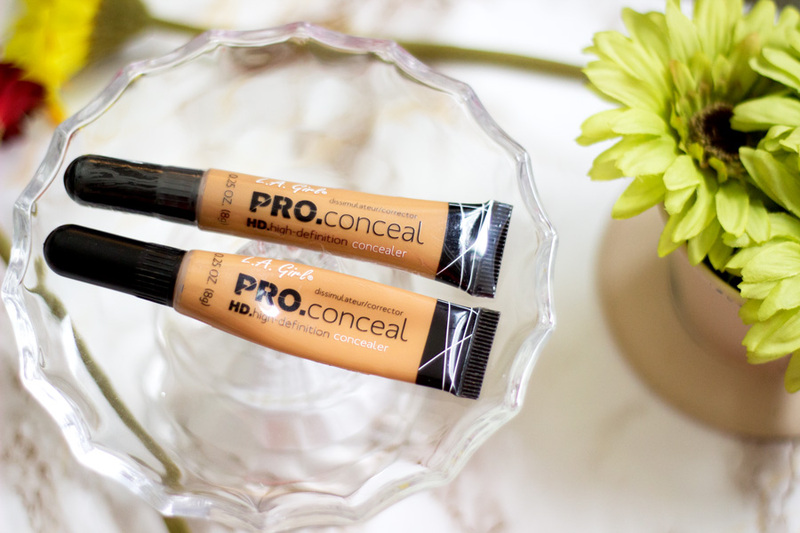 It is one of the few concealers that does not crease on me at all and it brightens any dark circles. I just love everything about it. 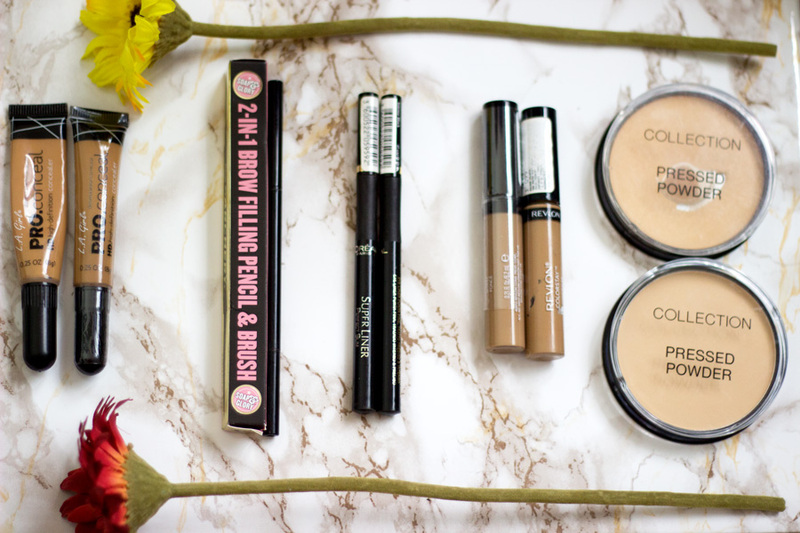 Whenever there is a 3 for 2 offer in Boots or Superdrug, I always stock up because it's just one concealer I know I would always reach for. I showed this in my Empties Video and it’s just one toner I keep repurchasing. I can’t really pin point the exact change it has made to my skin but I just love it. I have used it for almost two years and repurchased it more times than I care to count. It is so affordable at less than £2 and it is forever on offer in Boots. 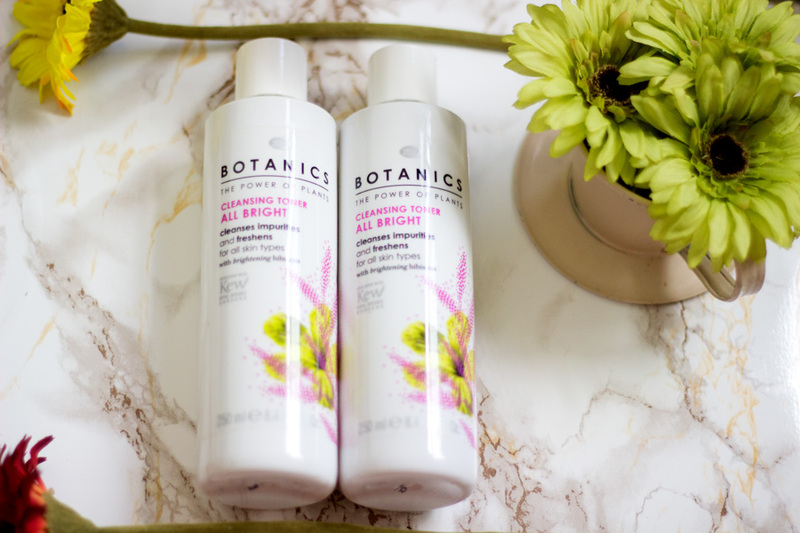 I really like what Boots is doing with their Botanics range. If you are just getting into using toners, I suggest trying this out as it feels so gentle and it really helps keep the skin in tip top shape. I have a soft spot for Soap and Glory Body Care products and I have a little stash of some of my favourite products from their range here. There is something about the brand that just makes me want to check them out every time I am in Boots. The good thing is there is always one offer or the other and I always stock up. 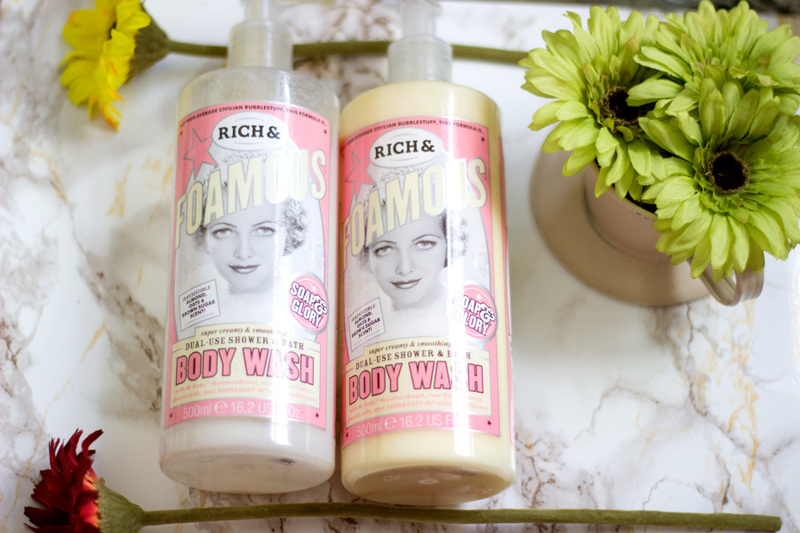 I had to repurchase the Soap and Glory Rich and Famous Body Wash after it finished because it is still my favourite everyday shower gel. It is all kinds of amazing and I love how my skin feels and smells after I shower. It has such an amazing fragrance and I highly recommend it. 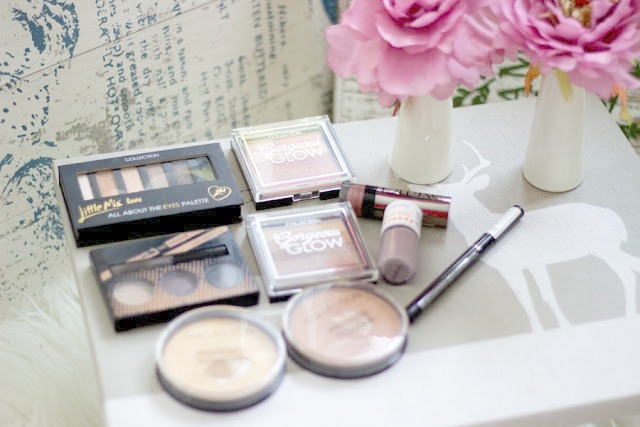 Now that summer is well on its way here in the UK, I feel this is the right time for a bronze and sun kissed look even if you are not going anywhere exciting for Summer. I have always moved away from anything with the word "glow" but honey bronze sounds more appealing because I think it will suit my complexion better. 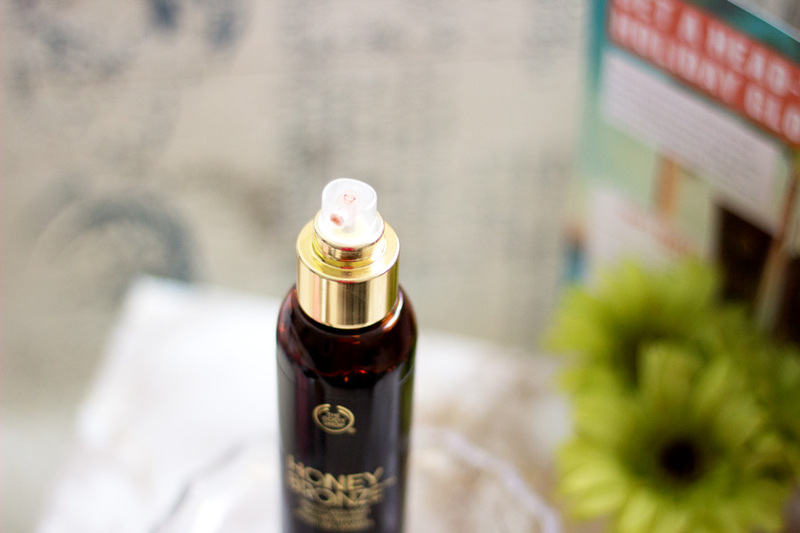 The first thing I noticed about the Body Shop Honey Bronze Collection was the rich combination of colours of the packaging- Gold and Dark Brown is very eye catching . I think it really suits the range and embodies Summer. 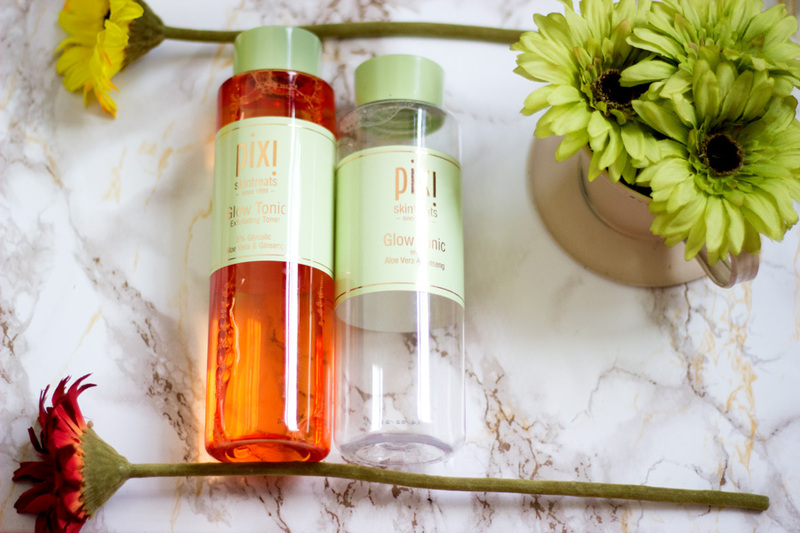 I was kindly gifted three lovely products from the range when I attended a Body Shop event in London early last month I tested it out during the event and I knew we would get on well. 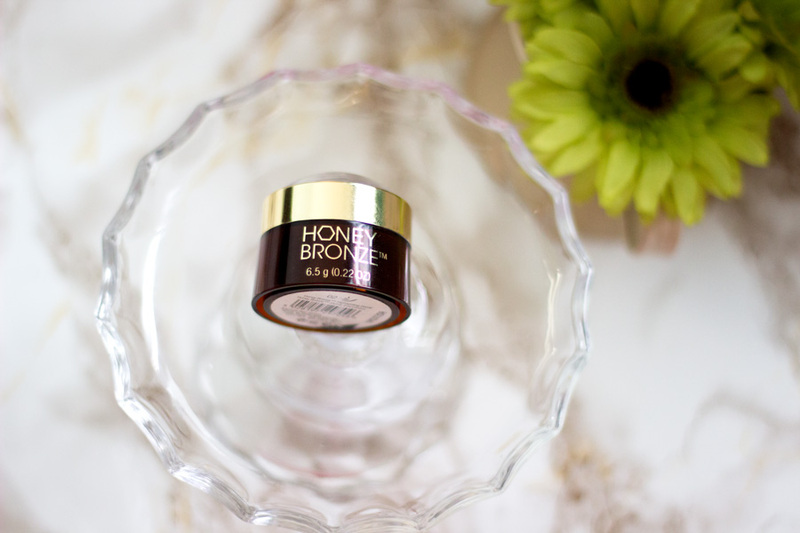 I received the Honey Bronze Tinted Face Gel*, Honey Bronze Leg Mist* and Honey Bronze Highlighting Dome*. 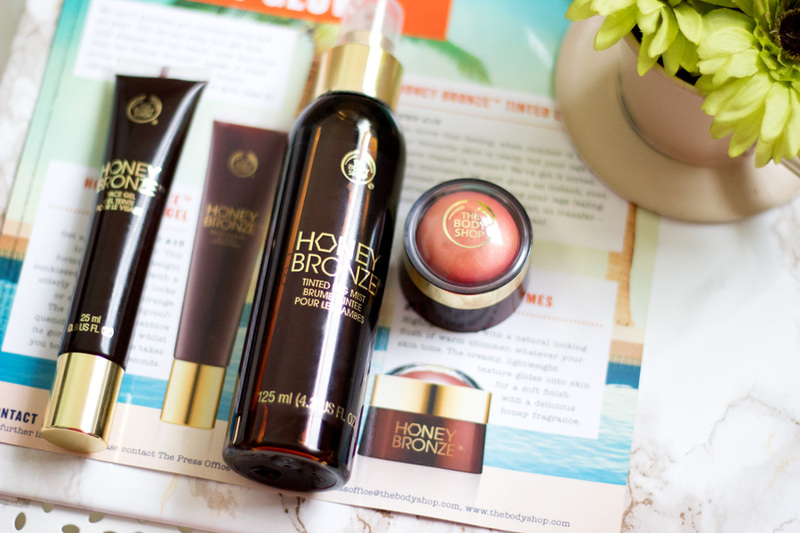 I believe the Honey Bronze range may have been around since last year but these are the new additions to the range and I can tell you that they are lovely. First off, I was very curious to see how this product will fare on my skin tone seeing that I am dark skinned. 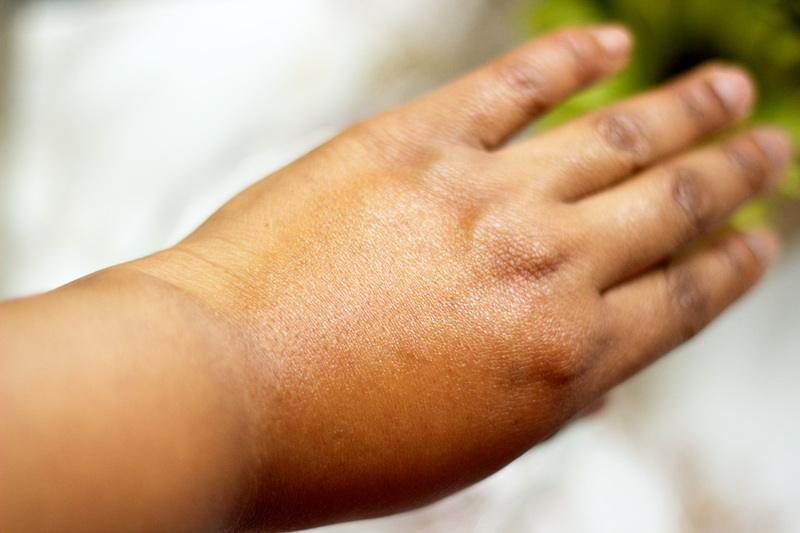 I have actually never used anything tinted, tan-inducing or bronzey to make my skin darker. It has a lovely honey-like fragrance which I quite like although I am not sure everyone would like it. I know the colour looks slightly scary but there is nothing to be alarmed about as it looks really good once it is blended into the skin. I just apply a pea sized amount all over my face after my skincare routine just before I apply my foundation. The first thing I noticed after I applied it was how sun kissed my skin looked instantly which is all so new to me. 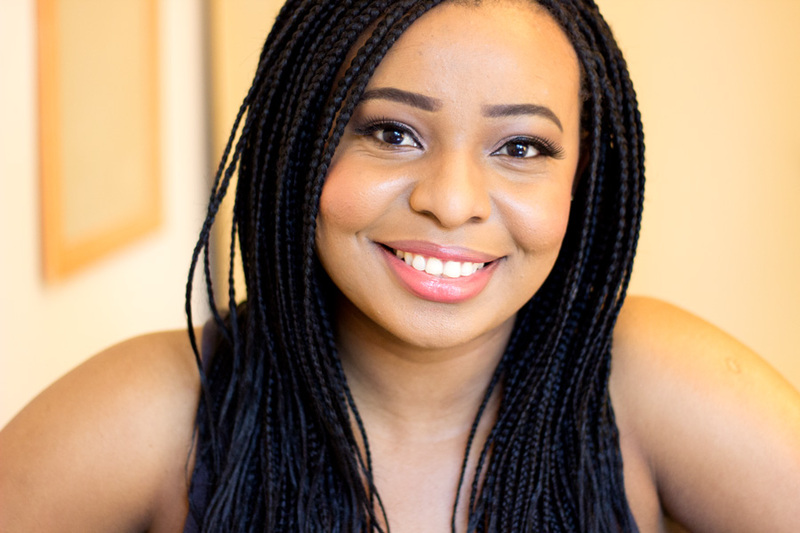 I looked like I had been out in Nigeria's sun and most of all, it just gave me a healthy glow. My biggest fear was that I would look orange (read: oompa loompa glow) but that was the not the case at all rather it enhanced my complexion. The good thing about it is that it seems to work well with any complexion (including paler skin) which I am quite surprised about but I guess it adapts to various skin tones. I have seen a few reviews of people who have paler skin who looked amazing like they had a natural tan. As the name suggests, it has a gel like texture but it is one that gets absorbed after you have blended/massaged it in. The texture feels ever so slightly sticky but you barely notice it once it is blended in. The colour does not transfer which I am thankful for. 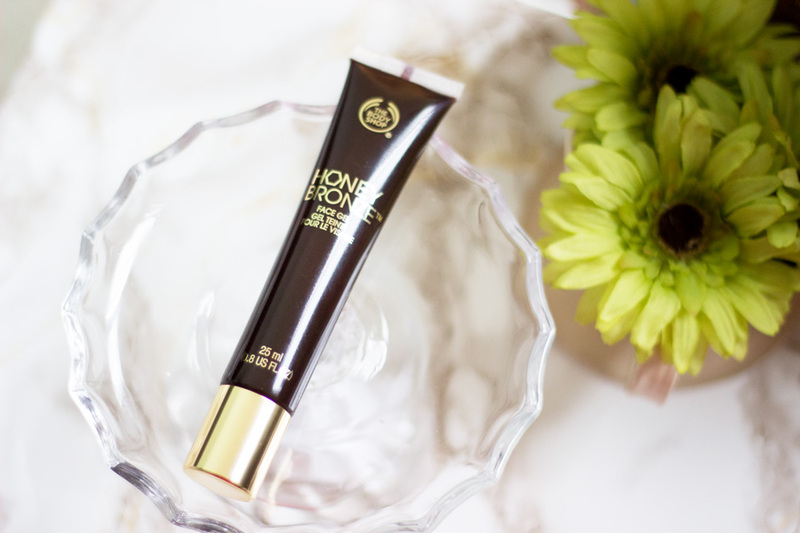 I find that my usual foundation appeared a little darker underneath this face gel so it is something you should be mindful of. 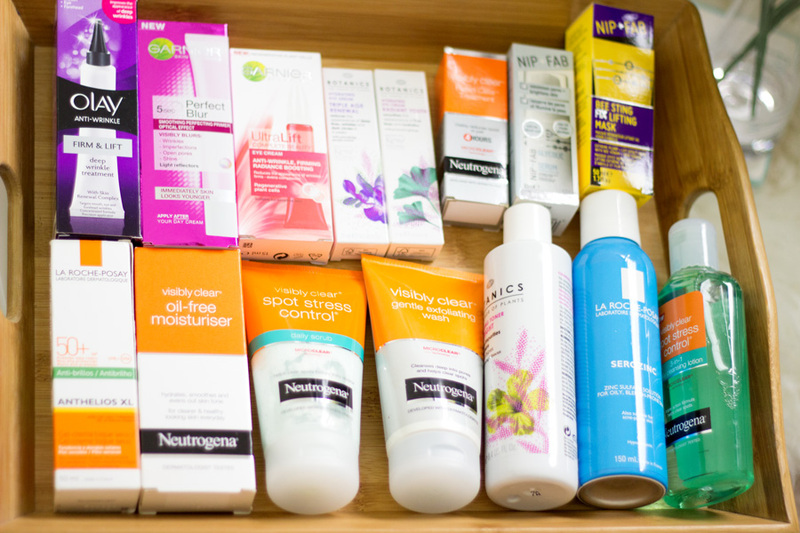 However, I find it amazing for those beigey or unmatched foundations I have in my collection as it helps them blend better with my skin tone. I really like the Honey Bronze Tinted Face Gel more than I thought I would. In the tube, you get 25 ml of product which may not sound like a lot but you really need a little as it goes a long way. 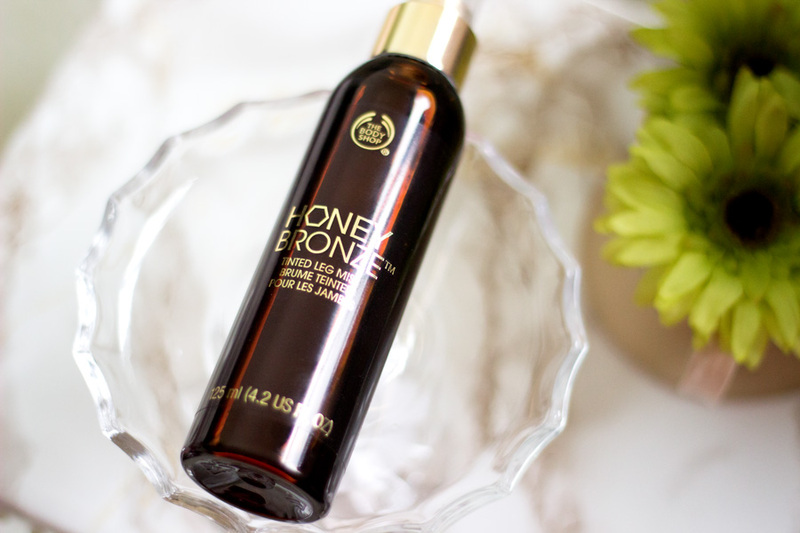 If you are after a glowing complexion, this is one I recommend. Have you ever seen anything so cute? Nah, me neither. This was the first product that caught my attention and I may have let out a little squeal when I saw it in the goody bag I received. I believe these highlighting domes may have been around last year as well. 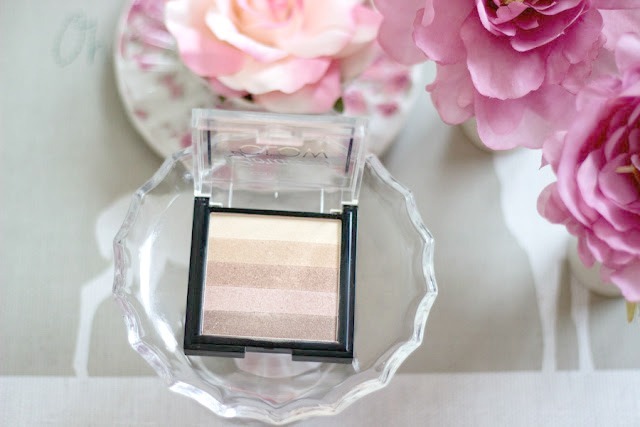 It's a highlighting product which I feel is also dual purposes because it adds both a lovely glow and tinge of colour.. There are three shades in this range and they are named: 1,2,3. The shade I received is 2 which I absolutely love. I feel this shade is very versatile for a variety of complexions. 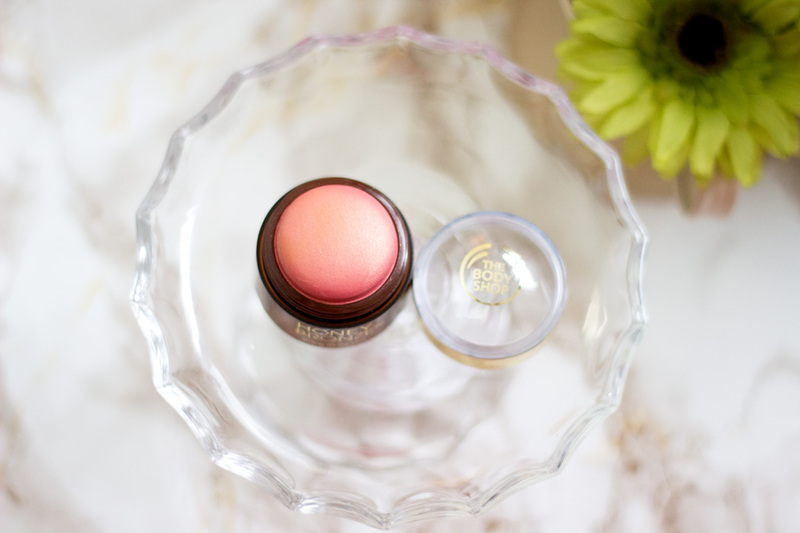 This highlighting dome is incredibly pigmented and I love everything about it including the dainty packaging. 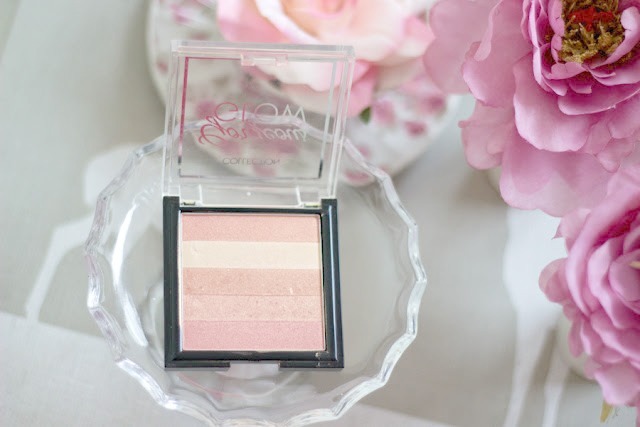 It has a Rose Gold colour which reminds me of Sleek's Rose Gold Blush although they are very different products. The unique dome shape makes it really easy to use as it can be applied directly from the packaging or you can use a brush. 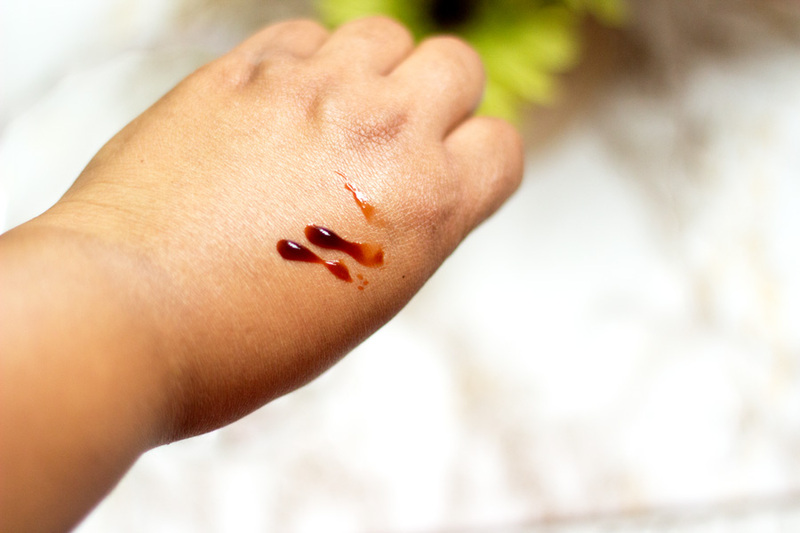 I prefer to apply it directly from the jar and them blend out with my fingers or a brush depending on how I am feeling. It is ideal for days when you don't have time but you want to look like you made an effort. 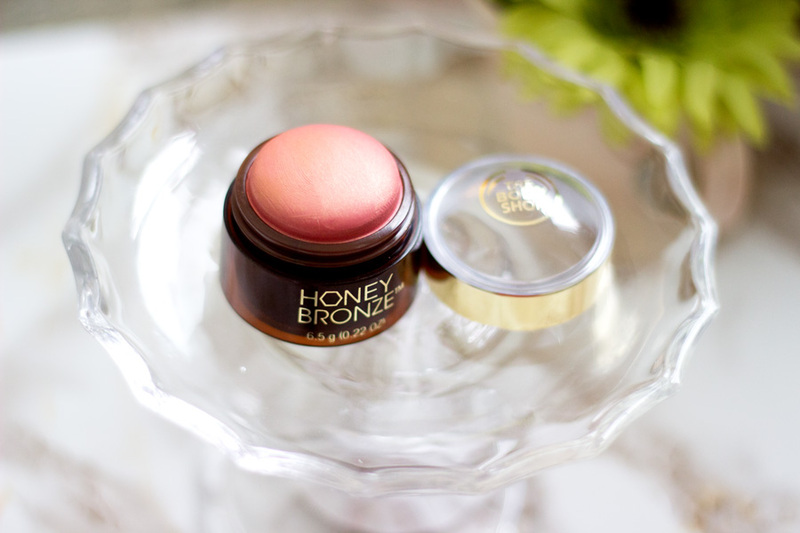 On my skin tone, it gives me such a lovely highlighting glow especially when I apply it to the high points of my cheeks. 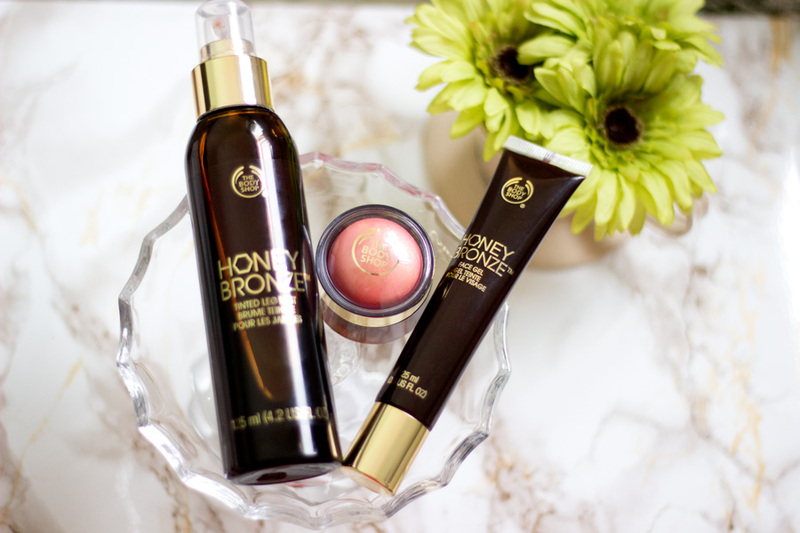 I am really pleased I got a chance to try these lovely Body Shop products. I would never have thought of trying the Face Gel and Leg Mist because I would have assumed it would not be suitable for my complexion. Now that I have tried it for a little over a month, I know it is indeed suitable for many complexions including darker skinned gals like me. That's it folks. 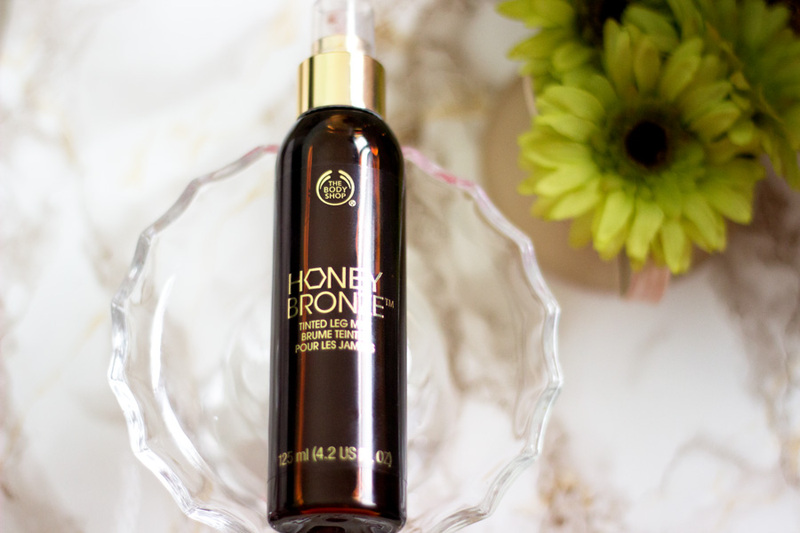 Have you tried any products from the Body Shop Honey Bronze range? I am a huge fan of eyeliners in fact, I feel my eyes are quite naked without them. 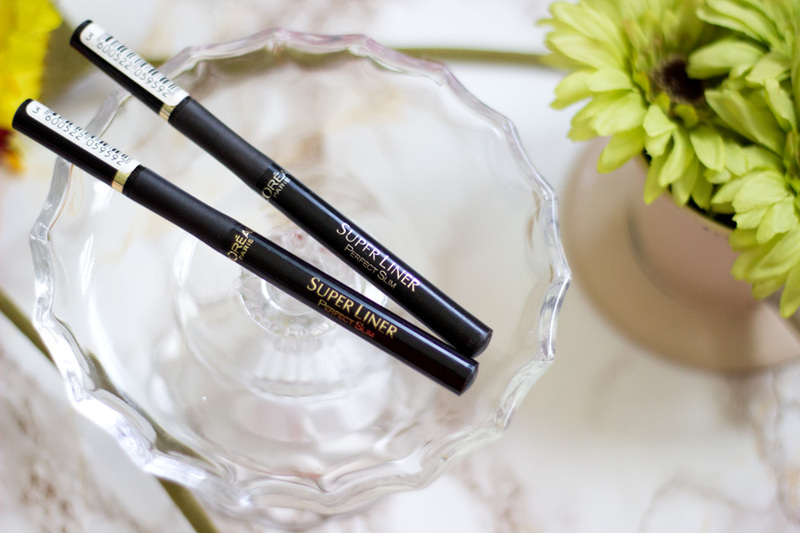 I prefer liquid eyeliners on my top eyelids and I rarely ever use pencil eyeliners. I just feel they require more work and my eyes are quite sensitive. I never even bothered with tight lining my lower eye lid because it just freaks me out and some pencils I have tried in the past seemed to feel scratchy and draggy. 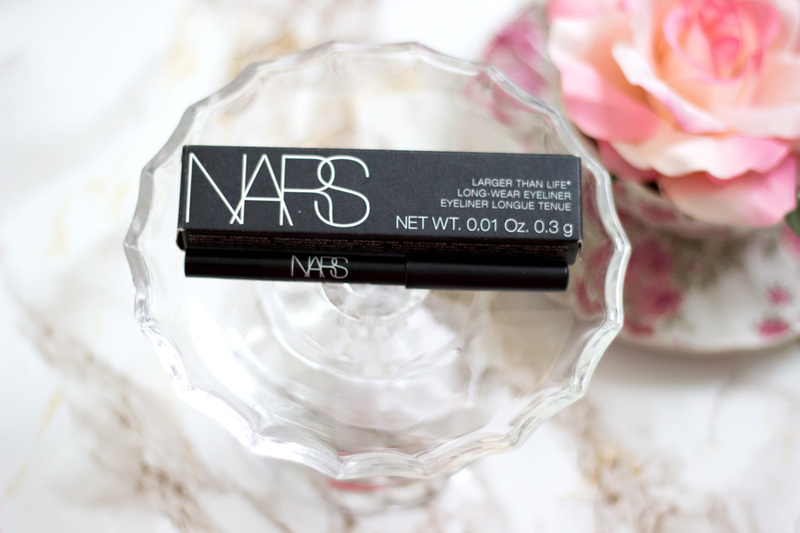 Well, all that changed when I got this lovely mini NARS Larger than Life Eyeliner. 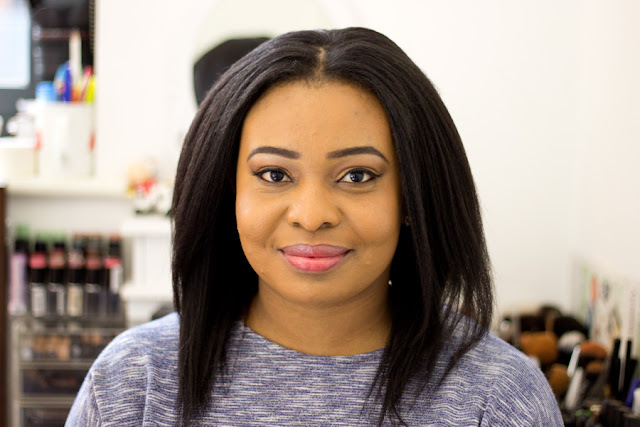 One of my good friends recently got converted to NARS All Day Luminous Foundation//Review (and it looks incredible on her) and we decided to pop down into nearest NARS counter to pick it up. The lovely sales lady at the counter gave both of us mini samples (well they are deluxe samples) of the NARS Larger than Life Eyeliner. I thought that was so kind of her especially as I did not purchase anything (it was very hard to resist but I did). Immediately, I tried it out I knew we would get on really well. This eyeliner is fiercely pigmented and I absolutely love it that way because it means a little goes a long way. There is no need to apply too much pressure at all because it just glides across so beautifully on my eyelids. It also applies very evenly making it ideal even for beginners who may have shaky hands. I had quite a few shaky hands incidents but it did not affect its application at all. The formula appears to be a hybrid of gel and wax but it leans more towards the creamy gel formula. The way it glides makes me so happy and my eyes don't even get sensitive or irritated which is such a relief for me especially as I wear contact lenses. The lasting power is really impressive and it's still very much present even when I get back home ready to take my makeup off. 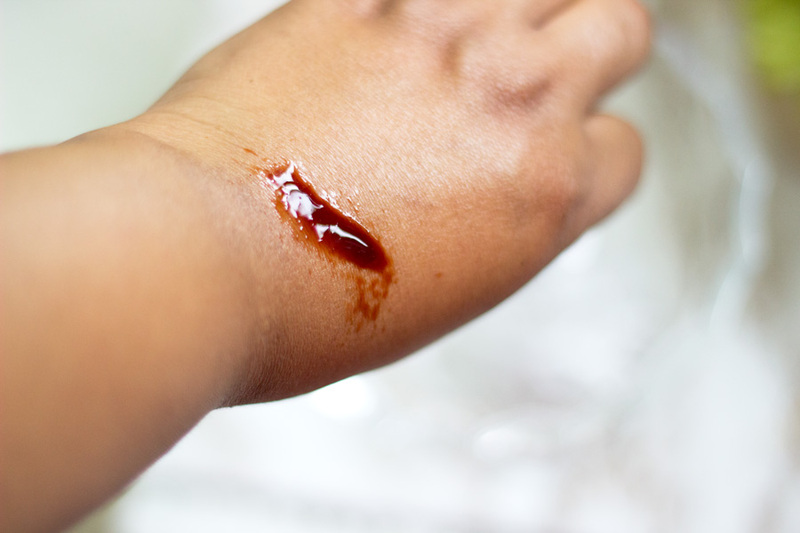 It is relatively easy to remove which remains a mystery because I have always thought that anything with such intense pigmentation will be a pain to remove. I also think my eye makeup remover is top notch so I don't want to give all credit to the eyeliner. 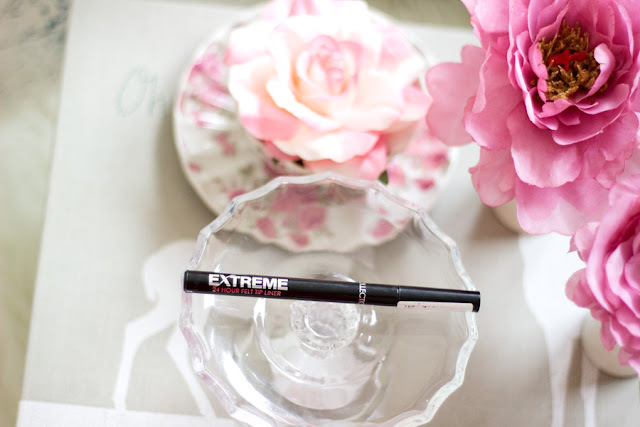 I have not tried using this on my upper eyelid/lash lid so I don't know if it performs in a different way. I think it is pretty straightforward and easy to use. I mainly use it to tight line my lower lid/waterline and I love how it transforms my makeup intantly. It adds so much character to my makeup and really accentuates my eyes. I tend to look up sometimes while applying my eyeliner so it glides on even better but I don't really think it matters as such. I always start at the outer corner of my eye and work my way into the inner corners. As mentioned earlier, I don't apply too much pressure at all; I just let it do its thang. 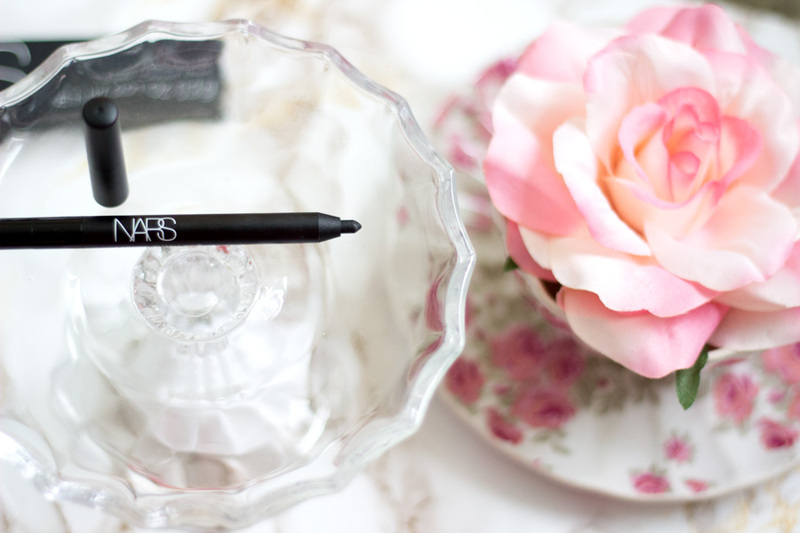 If you are into creating graphic eyeliner looks, I think you would really enjoy this eyeliner. 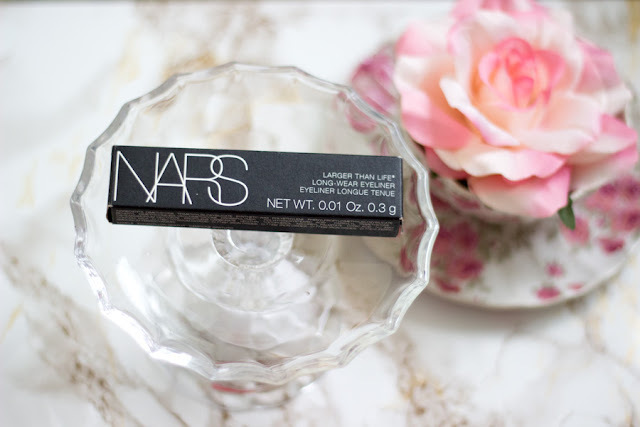 I am so pleased I got this sample at the NARS counter but I think it is one I may repurchase when it runs out. I have not tried anything close to it at all. The full size retails for £19 which is rather steep for an eyeliner but I think it's worth it. If you are an eyeliner junkie, I am sure you would love to try this. I don't see myself trying any other colours from this range (although navy blue or any blue sounds enticing). Collection was formerly called Collection 2000 a few years ago before it was changed to just Collection. I still like both names and I sometimes still refer to them as Collection 200 (silly me). I am just used to calling them that and saying just Collection sometimes sounds incomplete. Anyway, they are one drug store brand that has made many improvements to their brand and products. They now churn out some really amazing products and I feel they are little underestimated in the drug store. I always check their counter in-store to see if they have any new releases because they have been bringing it on lately. I have to say they don’t really cater to a wide variety of skin tones which is why I have never tried their bases or concealers. Well, I purchased their best selling Lasting Perfection Concealer in shade 4 which was way too beigey for me and made my skin look incredibly dull. Other than that, I like majority of their products. I still have a very soft spot for this eye liner because it was the first tip eyeliner I ever tried. It is perfect for beginners because its felt tip is easy to control and it creates a mean cat flick. I know it is still many people’s favourite eyeliner form the drug store but mine is the L’Oreal range. However, this is my second favourite and I always make sure I have one in my stash. I think it may be one of my favourite products from Collection and at the price, it is very difficult to beat. I still reach for this every now and again. I always find it difficult finding the right shade powders for my complexion in the drug store. 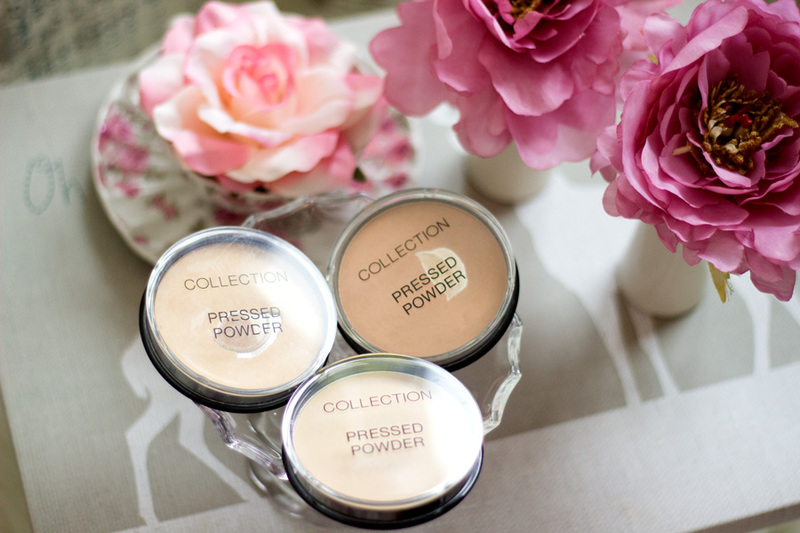 They always seem to show up ashy or too dark on my but the lovely Collection Pressed Powders are just right. 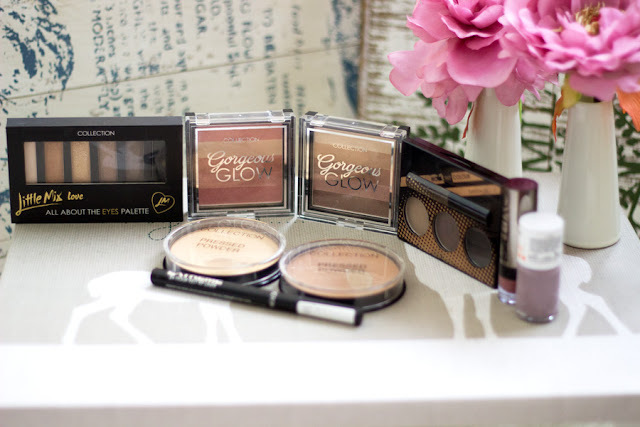 They don’t have a wide range of powders but the ones available are really versatile. 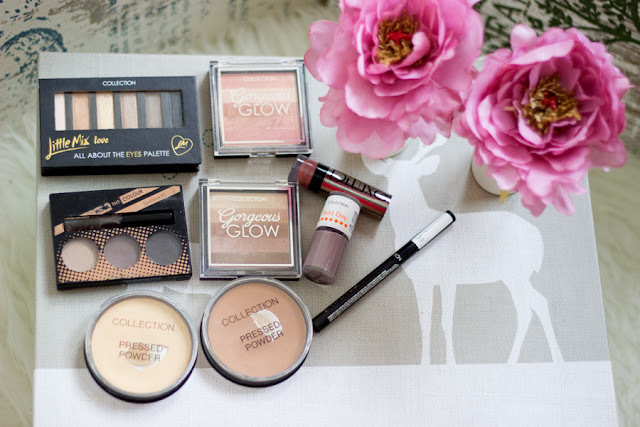 I love the Warm Bronze (which is slightly too dark for me) as a nice bronzing powder to warm up my complexion especially if my foundation looks dodgy. It is really finely milled and I have already hit pan as you can see. 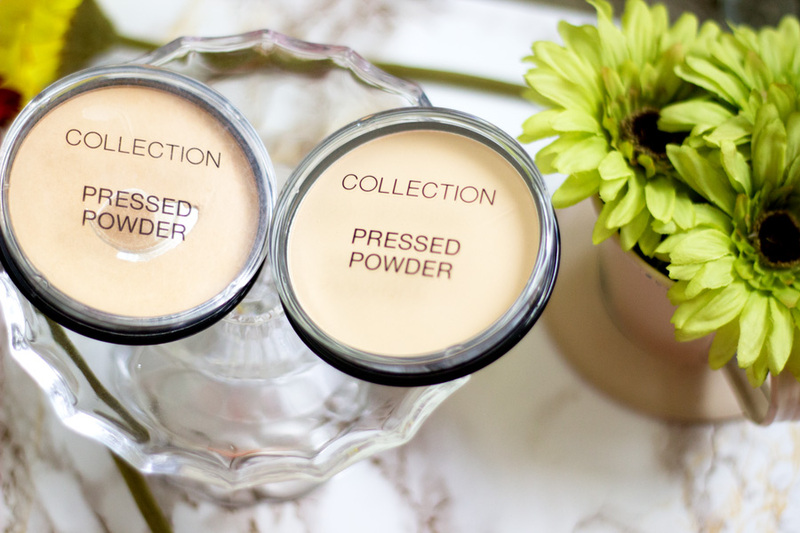 My all time favourite is the Collection Translucent Pressed Powder which is amazing at keeping my foundation set and matte. I adore this powder and I have hit pan (and purchased a back up). I also use this to set my under eye concealer and I have no idea why I discovered this so late in the day. I highly recommend it. I am not sure if I have tried any other Collection Lipstick but the Deluxe versions are amazing. The only one I own is Charleston 03 which is allegedly a dupe for MAC Velvet Teddy. I have a review showing a comparison of these lipsticks. 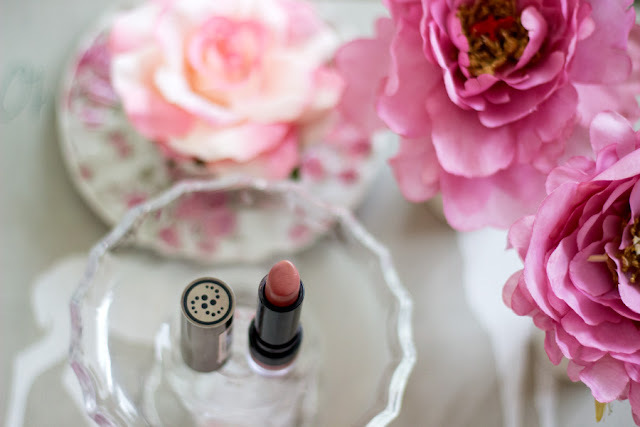 It is really similar to MAC Velvet Teddy but with its own spin. 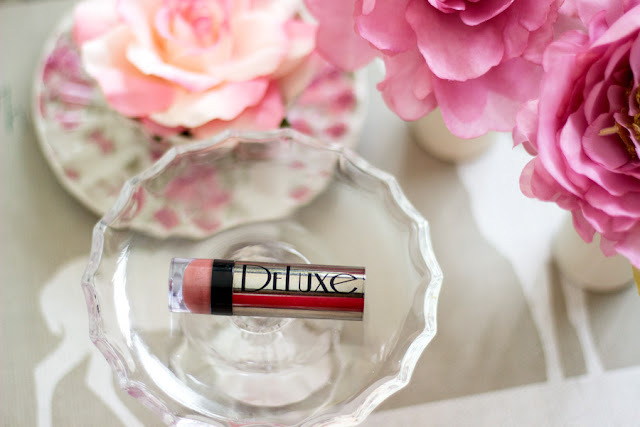 It is an ideal everyday lipstick and looks incredible on any skin tone. I really like the way it looks on my skin and it lasts really well. I still have to reapply but I don’t mind at all. The packaging is also rather cute for a drug store brand. I love it! I read quite a few reviews on this brow kit and I just had to get it. It is such a lovely brow kit because it comes with three powders and a brow setting gel/mascara. It is really compact and portable making it ideal for travelling. I love the mix of brow powders in this kit because you can customise your brow shade if you wish. I use the darkest shade in the outer section of my brow and the middle shade towards the beginning. 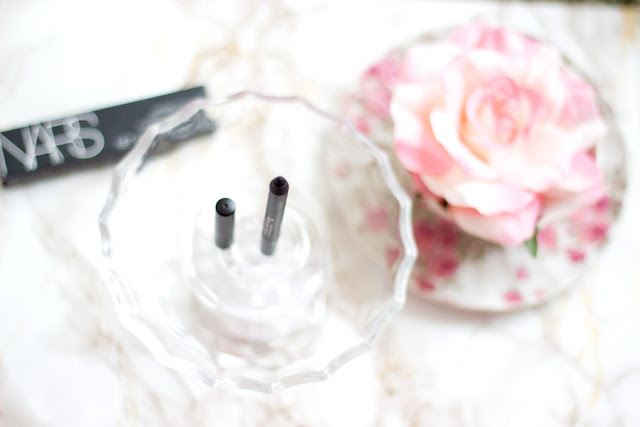 The brow setting gel really works well in keeping my brow hairs in place and helping the brow powders last longer. I really enjoy using this. It also doubles as an eyeshadow and the good thing is it has minimal fall outs so it’s not a pain to use. 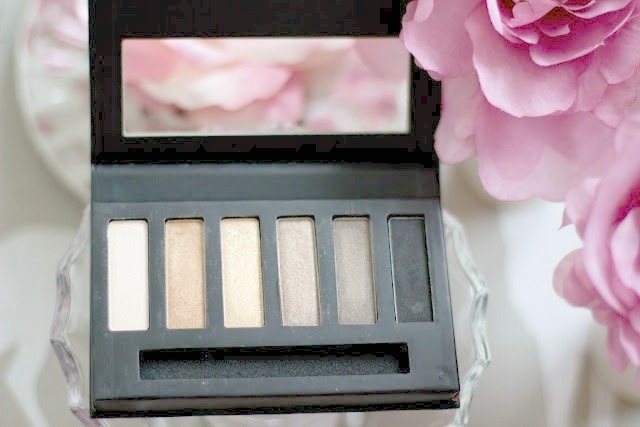 This eyeshadow palette completely blew me away because I did not expect much from it at all. I read a few reviews online and decided to try it out myself. 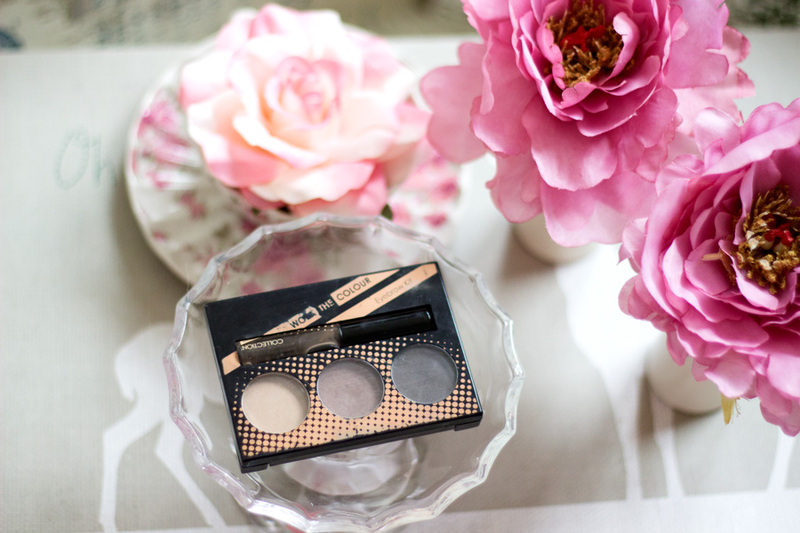 I was impressed by how buttery the eyeshadows felt in texture and how pigmented they looked on application. I am not a huge fan of the packaging but the quality of the eyeshadows make it seem okay. To be fair, I have not had any problems with the packaging at all and I have travelled a few times with it. 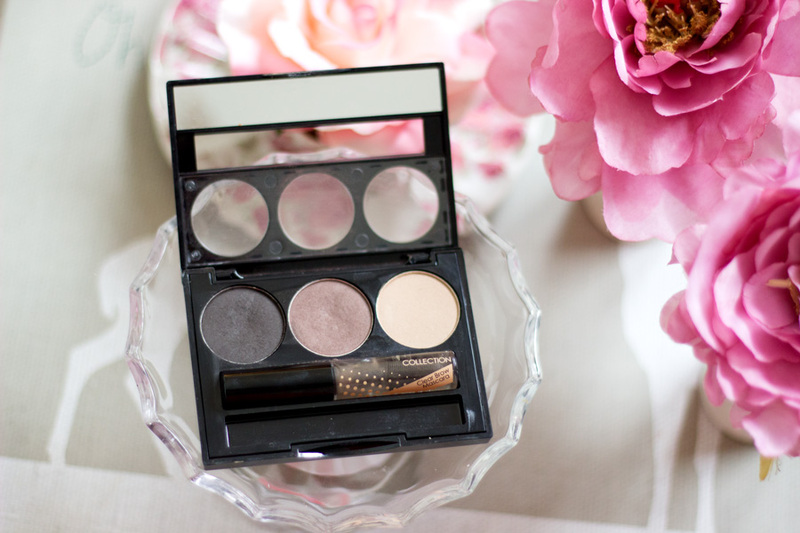 It is the perfect neutral eyeshadow with warm bronze, gold and brown shades. It also has a black eyeshadow at the end which can be used to transform any eyeshadow look to a sultry smokey eye look. 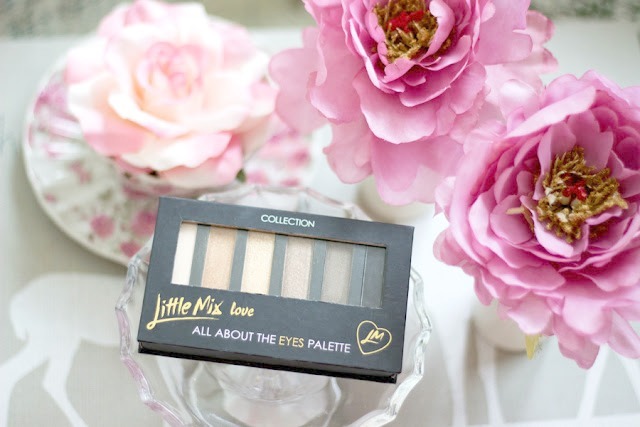 They have also released three other versions of this eyeshadow palette but this is my all time favourite one and I still reach for it every now and then. This was launched with their recent Spring Collection and I had to grab it off the counters when Superdrug had their 3 for 2 offer. I swatched it in-store and it had such an amazing highlight glow. I like the packaging and the mix of colours. I love that drug store products are really imitating high end products. I feel this Bronzing Block will suit people with lighter or paler complexions as it tends to look borderline ashy/beigey if I make a mistake of going overboard. I still really light it though and I use it with my Real Techniques Collector's Edition Fan Brush. 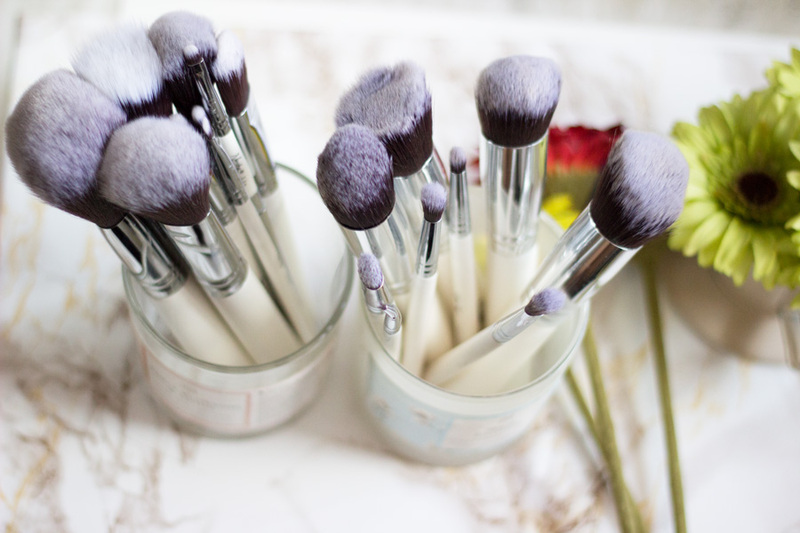 It picks up the product really lightly and it looks much better than when I use any other brush. This is my latest addition to my Collection (collection/stash; no pun intended). It was the first product that caught my eye when I was browsing in-store for their Spring Collection. 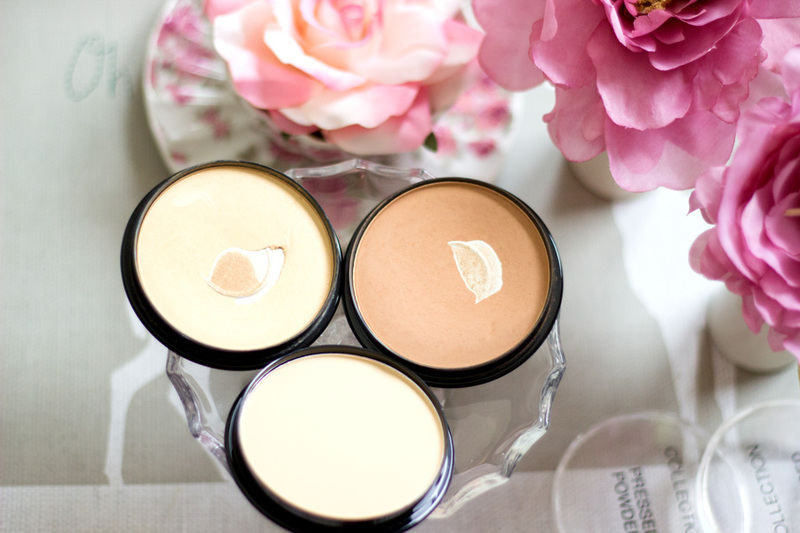 It is a warm blush block which make sit ideal for a variety of skin tones. There is no chance of looking ashy or beigey which is amazing. 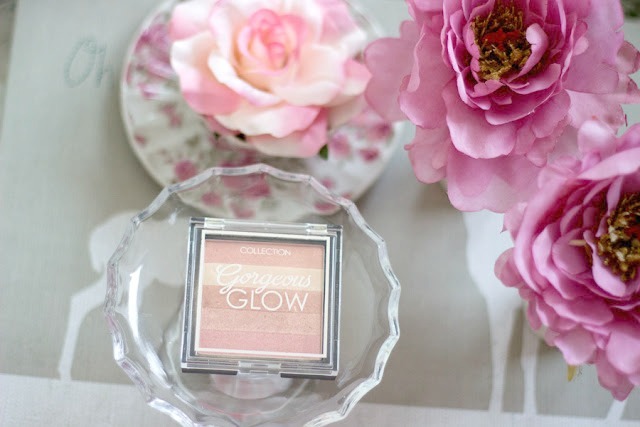 The pink colour makes it so pretty when it is applied on the cheeks or high points of my cheeks and it infuses such a nice glow to my skin. I really enjoy using it and I always go in with a very light hand because it is well pigmented. I particularly like that it does not have a lot of glitter because that can look very messy and annoying on the face. I really enjoy using this. I no longer buy nail polishes because I definitely have a whole lot in my collection (I still buy Barry M nail polishes because they are amazing). Anyway, I picked up this beautiful nail polish because it was under £2 and I needed something to complete my purchase for a 3 for 2 offer. I am so glad I got this nail polish because it has a great formula and I did not expect it at all. 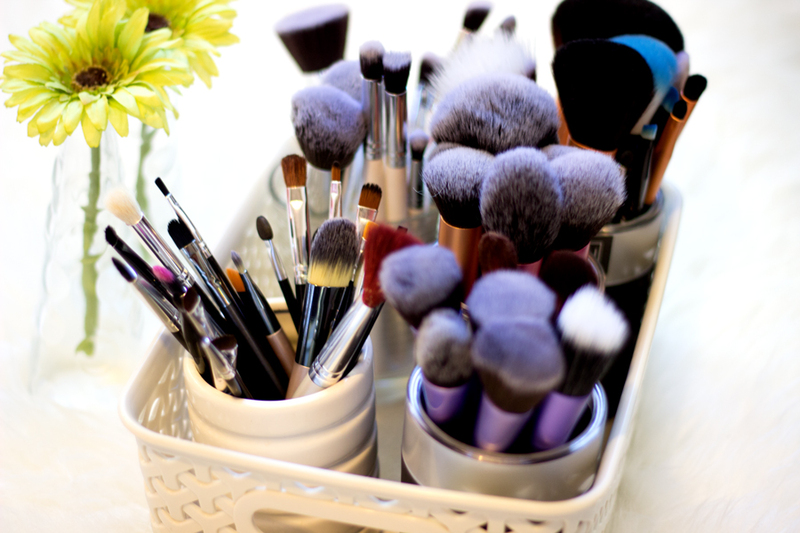 It applies really well and the nail brush is just perfect for beginners and experts. It's really difficult to make a mistake with this nail polish. The one thing I am most impressed with is the lasting power. 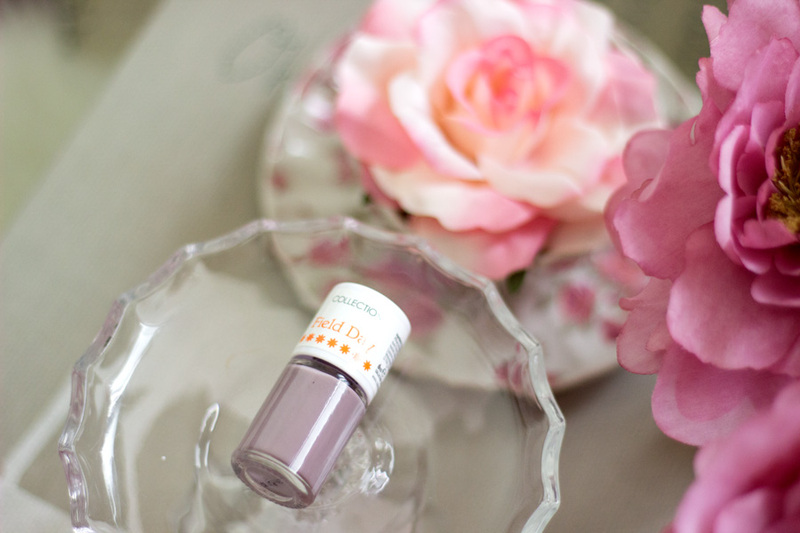 My nail polishes (drug store brands) usually chip within 3-4 days with or without a top coat. However, the Collection Field Day Nail polish actually lasted much longer. I would say around a week although I used a top coat. I did not experience any streaking and it looked so pretty that I am tempted to buy a few more colours from this range.